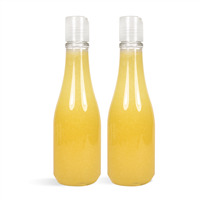 Develop a men's product line with this lemongrass body wash as one of your products. Apricot seed powder, wheat germ oil and lemongrass essential oil give this body wash that extra edge that differs it from other body washes. The apricot seed powder gently scrubs away dirt and grime while the wheat germ oil keeps skin moisturized. Lemongrass essential oil provides the finishing touch with a refreshing zip of lemon and its believed antimicrobial and deodorant properties. You Save $20.90 by purchasing this kit rather than buying the items separately. COMMENTS: Super easy Kit and great feel! COMMENTS: One of our favorite kits. COMMENTS: I bought this kit as a trial to see if I wanted to sell these. I am excited to report that my husband (and wonderful tester) has really enjoyed the soap! He said it smells great and he gets a good lather, and feels clean but not dry afterwards. As for my part, it was really easy to follow the directions, and it was pretty easy to make. I will be purchasing more of this to sell in the upcoming year. I really enjoyed the process and final product. 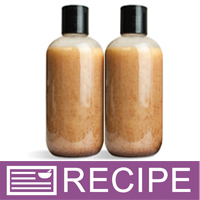 Great for a beginner as well as an experienced soap maker! "Can I sub with any fragrance oil? " Staff Answer Yes, you can use any fragrance oil you like instead of the the lemongrass. "Should a preservative be added to this product for longevity and integrity? " Staff Answer The ingredients used do not require any additional preservative, however, you can add a preservative if you feel the need to. "Can I leave the Apricot Seed Powder out of this?" Staff Answer Yes you can. Our recipes do not need to be followed exactly. Feel free to experiment and customize your products.